Description : The family belongs to Lyctides beetles whose varieties are endless. The two main species of this pest encountered in Quebec are striated lyctus and Lyctus brunneus. Others are also present in light exotic wood imports and use of wood imported into the current industry and crafts. 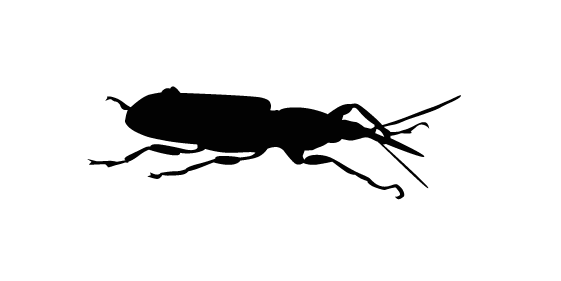 The powder post beetles live in wood hardwoods such as walnut, maple, oak, but also exotic woods, however he fled the charm and beech. He loves the fallen wood, carved wood and it does not reject milled wood either. Therefore it is found in the floorboards and massive furniture. These are called wood-boring insects. Curiously, it crosses linoleum and eventually settled in the veneer! A lyctus measures between 2 and 5 mm and it flies through the wing covers. He moved there in the wood burrowing wood-weakening. Exit holes are small and perfectly circular. Lyctus in the flooring: The female lays one hundred eggs and become larvae; larvae resemble grubs, and grow in the woods until they become pupae. They remain for generations in the infested wood. They dug gallery after gallery while the furniture falls into dust, the floor becomes moldy and joinery disintegrate. Prevent the problem at its source: Very difficult to predict the presence of lyctus, it should be inspected regularly, in the smallest pieces of wood, and every inch of flooring, carpentry and window frame. We must recognize the warning signs as identifying small cones sawdust on the floor and going further to be able to discern fresh sawdust oldest traces. 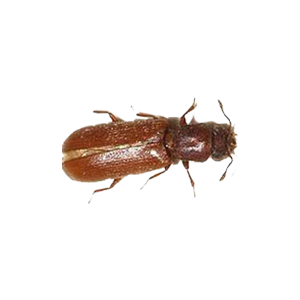 Lyctus problem treatment: There are virtually no products on the open market that is powerful enough to handle permanently and control this pest of wood. The fight can be chemical (liquid protection products, toxic gases) or physical (hot air, microwave). It is in any case a matter of specialist trained specifically for the treatment of powder post beetles damage. Do not wait to be infested! For the extermination of lyctus, call Groupe AZ Extermination. His professional inspection is free, effective and very fast.